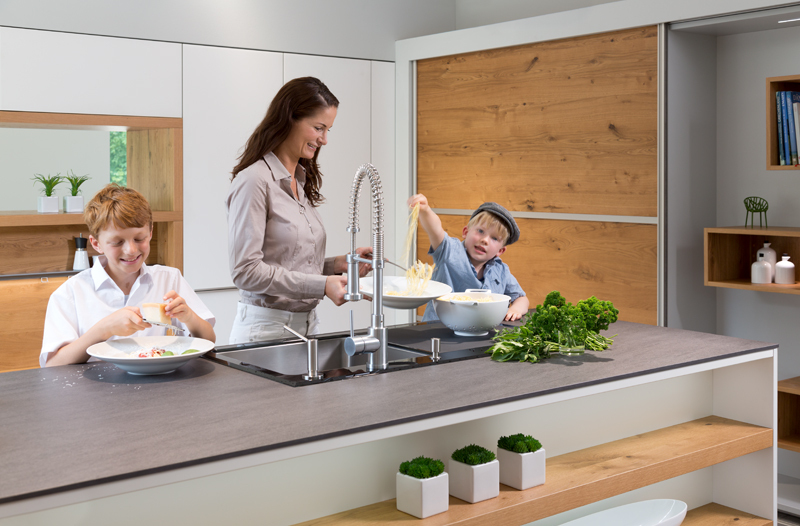 Rempp Kitchens will be offering simply more as of February 2018. The previous cupboards with a depth of 33 cm will be 2 centimeters deeper. What good is that, do you rightly ask? The eating habits are changing more and more, this also means more dishes and equipment. Pizza, pasta, fish, meat, soup – different meals need different plates. And a pizza can be quiet round and big, pasta looks even better served on large plate. But where to store the big plates? With a top cabinet depth of 35 cm, they have their place. And all without extra charge – just standard for Rempp.